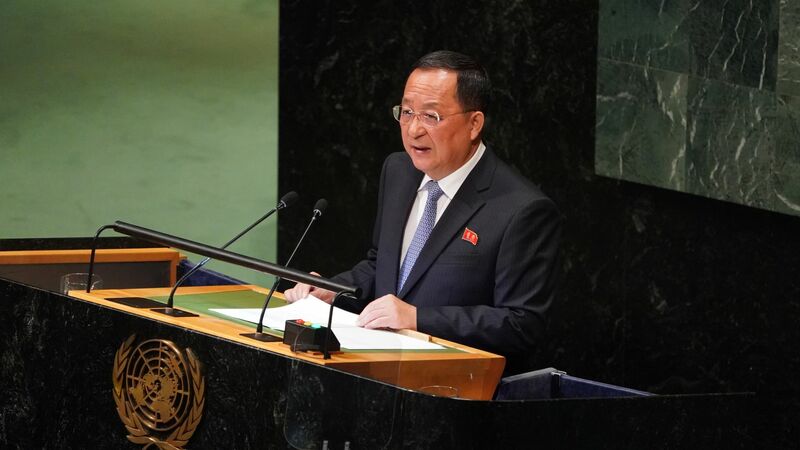 North Korea says it won't denuclearize if it can't trust U.S.
North Korean Foreign Minister Ri Yong Ho said at the UN General Assembly Saturday that the U.S. must follow through on the promises it agreed to at the June 12 summit, and that the country will never denuclearize if it cannot trust the Americans, the AP reports. Why it matters: Talks between the two countries have stalled after President Trump directed Secretary of State Mike Pompeo to cancel his August trip to North Korea, claiming the regime was not "making sufficient progress with respect to denuclearization." The two sides appear to still be invested in further negotiations, however, as Pompeo plans to make a trip to Pyongyang next month amid talks of a second summit between Trump and Kim Jong-un.